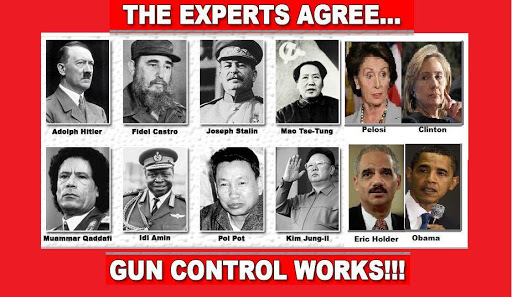 The Experts Agree… Gun Control Works!!! With your heart pumping, you reach down beside your bed and pick up your shotgun. You rack a shell into the chamber, then inch toward the door and open it. In the darkness, you make out two shadows. One holds something that looks like a crowbar. When the intruder brandishes it as if to strike, you raise the shotgun and fire. The blast knocks both thugs to the floor. One writhes and screams while the other crawls to the front door and lurches outside. In your country, most guns were outlawed years before, and the few that are privately owned are so stringently regulated as to make them useless. Police arrive and inform you that the other burglar has died. They arrest you for First Degree Murder and Illegal Possession of a Firearm. When you talk to your attorney, he tells you not to worry: the authorities will probably plead the case down to manslaughter. The next day, the shooting is the lead story in the local newspaper. Somehow, you’re portrayed as an eccentric vigilante while the two men you shot are represented as choirboys. Their friends and relatives can’t find an unkind word to say about them. The thieves have been transformed from career criminals into Robin Hood-type pranksters. As the days wear on, the story takes wings. The national media picks it up. Then the international media. The surviving burglar has become a folk hero. Your attorney says the surviving thief is preparing to sue you and he’ll probably win. A few months later, you go to trial. The charges haven’t been reduced, as your lawyer had so confidently predicted. When you take the stand, your anger at the injustice of it all works against you. Prosecutors paint a picture of you as a mean, vengeful man. It doesn’t take long for the jury to convict you of all charges. The judge sentences you to life in prison. On August 22, 1999, Tony Martin of Enmesh, Norfolk, England, killed one burglar and wounded a second. In April, 2000, he was convicted and is now serving a life term. How did it become a crime to defend one’s own life in the once great British Empire? The Firearms Act of 1920 expanded licensing to include not only handguns but all firearms except shotguns. Later laws passed in 1953 and 1967 outlawed the carrying of any weapon by private citizens and mandated the registration of all shotguns. The British public, already de-sensitized by 80 years of “gun control”, demanded even tougher restrictions. 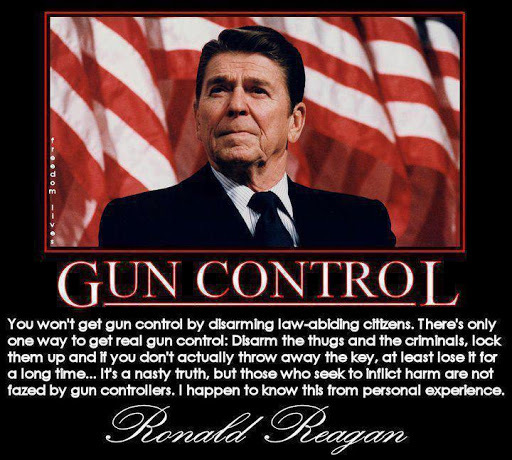 The seizure of all privately owned handguns was the objective even though Ryan used a rifle. Nine years later, in Dubliner, Scotland, Thomas Hamilton used a semi-automatic weapon to murder 16 children and a teacher at a public school. 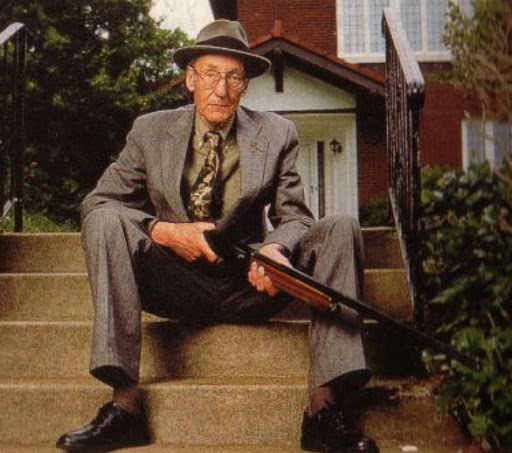 For many years, the media had portrayed all gun owners as mentally unstable or worse, criminals. Now the press had a real kook with which to beat up law-abiding gun owners. Day after day, week after week, the media gave up all pretense of objectivity and demanded a total ban on all handguns. The Dubliner Inquiry, a few months later, sealed the fate of the few sidearms still owned by private citizens. When the Dubliner Inquiry ended, citizens who owned handguns were given three months to turn them over to local authorities. Being good British subjects, most people obeyed the law. The few who didn’t were visited by police and threatened with ten-year prison sentences if they didn’t comply. Police later bragged that they’d taken nearly 200,000 handguns from private citizens. The guns had been registered and licensed. Kind of like cars. Sound familiar? THIS [civilian disarmament] IS WHY OUR FOUNDING FATHERS PUT THE SECOND AMENDMENT IN OUR CONSTITUTION. If you think this is important. please it forward to everyone you know. You had better wake up, because Obama is doing the very same thing over here. And there are stupid people in congress and on the street who will go right along with him. Guns Don’t Keep Us Safe? Dear Tor, Thanks! I can't take credit for writing it, only for posting it. I made a few minor edits for the sake of style. But it was fairly well written, so I didn't really need to do much.